Despite ever-shrinking poll numbers, the almost extinct Christie Administration continues its attacks on the environment, all too often with help from the Democratic-led NJ legislature. Notable exceptions during the recent state budget fight include Assembly Speaker Vinnie Prieto and Assemblyman John McKeon who helped stem the tide in Trenton. While Christie’s efforts to hold the state budget hostage largely failed, real damage was done — state parks closed, tens of thousands put out of work, businesses hurt, and faith in government took another hit. The approved state budget includes continued raids on clean energy and natural resource restoration funds. But there is light at the end of that tunnel as Christie’s days in office are numbered. Unfortunately, the same cannot be said in Washington. As you know, the young Trump Administration’s attack on core environmental protections is accelerating with help from the Republican-led Congress. The summer months started off with Congress considering the President’s proposed budget that would decimate the federal Environmental Protection Agency (EPA), and its clean energy, air and water programs. In late June, his Administration proposed gutting the federal Clean Water Act and never ceases to side with Big Oil & Gas including new proposals to drill off the Jersey Shore. Clean Water Action is determined not to let our hard won victories of the past be overturned. The Garden State’s congressional delegation, especially U.S. Representative Rodney Frelinghuysen as Chair of the House Appropriations Committee, can be a difference maker at the national level. To that end, Clean Water Action recently led 31 groups to sign a joint letter to Frelinghuysen requesting a meeting, and to stand up to Trump’s devastating budget cuts. Together, these groups represent tens of thousands constituents. The proposed 31% cut to the EPA includes the total elimination of lead poisoning, environmental justice, climate and Jersey Shore beach water quality monitoring for bacteria programs. 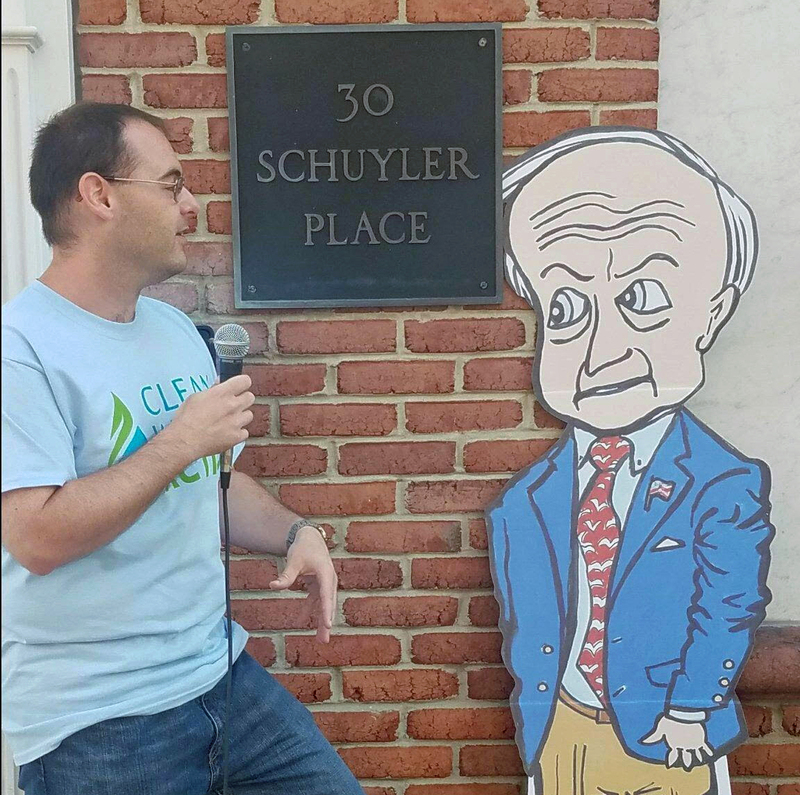 Unfortunately, Congressman Frelinghuysen has been largely unresponsive to date other than expressing some concern for the Superfund cuts (for toxic waste cleanup), but remains “animus” (or hostile) towards the EPA. This is especially disturbing because roughly 30% of NJ Department of Environmental Protection’s (NJDEP) funding comes from the federal government. As a state that already sends more tax dollars to the federal government than we get back, New Jersey cannot afford to pick up that much slack. That is why Clean Water Action is organizing a broader public outcry to stop this budget in its tracks. Every day, its door to door canvass talks to people one-on-one, garners support and generates personalized letters (more than any other organization) from New Jersey residents in targeted congressional districts. All across the state and regardless of party affiliation, constituents are telling their U.S. Representatives not to support a federal budget that places unnecessary burdens on our state, the environment and the health of our families. Whether it’s for Superfund, drinking water, the Jersey Shore, Delaware, Raritan and Barnegat Bays, clean air, or environmental justice in our urban centers, New Jersey needs more not less environmental funding, as well as state and federal officials on both sides of the aisle who will fight for it. Clean Water Action knows it count on New Jersey’s two U.S. Senators, Booker and Menendez; but need the state’s Republican Congressmen (particularly Frelinghuysen, but also Lance, LoBiondo, MacArthur, and Smith) to turn the tide towards the environment and public health. Take action by writing a letter today! As a constituent, you have the power to make a difference in what your representatives do in office and how long they stay in office. The key votes here are expected in September. See how your U.S. Representative rates on Clean Water Action’s Tracker. New Jersey’s delegation has some shining stars who scored high, even 100%, for the environment and need to be thanked. But do not let the zeroes and low scorers go unchecked. They need to hear from you loud and clear. It is more important than ever that New Jersey leads the way towards a 100% clean energy economy and defeats new and expanded existing fossil fuel projects that threaten our drinking water and public safety, destroy open space and private property, and undermine our economy and green jobs. State elected officials and candidates can’t do enough to stop dirty deals like the PennEast, Transco, South Jersey Gas, Pilgrim and NJ Natural Gas pipelines, compressor stations, and oil bomb trains and Trump’s oil drilling plan just off the Jersey Shore. New Jersey is long overdue in taking back its leadership role in growing its clean energy capacity, green infrastructure, jobs, and environmental protections. 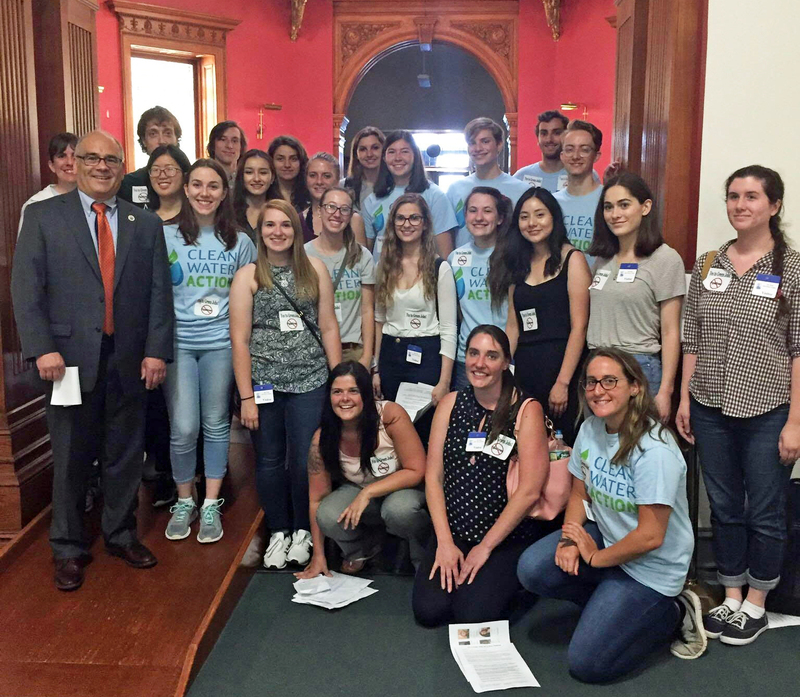 That’s why 100 activists from Clean Water Action, Delaware Riverkeeper Network, Environment New Jersey, and Sierra Club held a “Stop Pipelines and Dirty Fuels” lobby day in Trenton on June 22. While there are many actions on many fronts needed, our lobby day got some immediate results. We successfully stopped Assembly Bill #A4849 which weakens ethics laws to permit Pinelands Commissioners to vote when they have a conflict of interest on controversial pipeline proposals. They tried again a week later (6/29) and failed due to ongoing pressure from Clean Water Action and others. Senate and Assembly Resolutions SR22/A35 — which opposes the Penn East pipeline — 43 Democratic and 7 Republican legislators have already signed a letter urging NJDEP to deny a key water quality permit it needs. The power of an active citizenry has been proven yet again. But these bills (good and bad) are not dead, just dormant with the legislature now on summer recess and back in their districts campaigning for re-election this November. Anything can still happen between now and late January 2018 (and on a moment’s notice) when a new governor and legislature are sworn into office. New Jersey has been down in the environmental and economic dumps for eight long years. Over the next four, we need a governor who will lead with a clean energy and environmental justice agenda, protect public health and clean water, and provide a huge boost to the state’s sluggish economy. effectively challenge, and provide a real strong alternative to, the Trump anti-environment agenda. 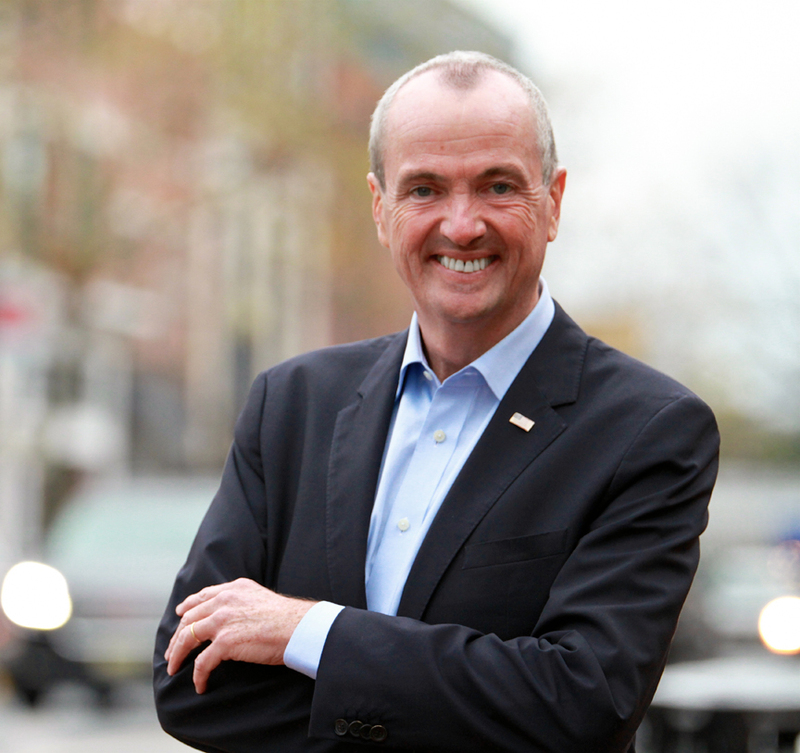 New Jersey needs strong leadership in our next Governor to make New Jersey a national leader again, dare it be said to “make New Jersey great again.” Phil Murphy will be that governor. As climate continues to change, we will experience hotter summer temperatures, as well as longer and more frequent heat waves. In cities, like Newark, the concrete and buildings create even hotter conditions or “heat island effect” as they absorb heat by day and emit by night. There are growing concerns and evidence connecting rising temperatures and public health of young, elderly and pregnant women. When temperatures reach 89.6oF or higher over a period of 4 to 7 days, the risk of early-term delivery is 27% higher than on typical summer days, according to a study. Los Angeles’ public health data reveals a fourfold increase in heat wave-related incidences including premature labor (at 29 weeks) due to dehydration, strokes, cardiovascular distress, elderly and sports-related deaths. We expect New Jersey’s cities feel similar adverse heat impacts as well. Drink plenty of water even if you don’t feel thirsty. Avoid soft drinks and alcoholic beverages as they contain sugars and salt that will cause the body to become dehydrated. 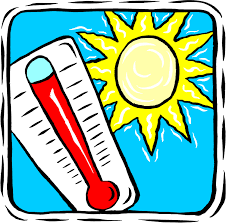 Avoid being outside during peak heat hours mainly from 11am–1pm and wear loose, lightweight, light-colored clothing and take cool showers and baths. Check on a friend or neighbor and have someone do the same for you. Having a buddy system with your neighbors is key to making sure that those who are most vulnerable to heat distress such as the elderly, disabled and sick are well. One of the best protections against heat related illness and death is air conditioning (AC). If you also use a fan while in the house, you will be able to turn your AC on low and circulate more cool air while also saving on your electric bill. Do not rely on a fan as your primary cooling devise during an extreme heat event. If you do not have an air conditioner, go somewhere that does (e.g. library, community cooling center, store or other public space). Clean Water Action, in partnership with the Asbury Park Boardwalk, launched a “Straws by Request” program Memorial Day Weekend. Participating establishments include Oyster Bar, The Anchor’s Bend, Beach Bar and Wonder Bar. Drinking straws are now given to customers only by request. Look for the signage and educational postcards located at the entrance, on tabletops and at the bar. Clean Water Action and the Asbury Park Boardwalk encourage all customers to participate. Remember to thank the staff for their efforts to reduce plastic waste. This initiative is part of Clean Water Action’s larger national Rethink Disposable™ program (www.rethinkdisposable.org). Clean Water Action has a proven successful track record working with restaurants and institutions to voluntarily reduce waste caused by single-use disposables (SUDs), such as plastic straws, cutlery, plates, water bottles and foam containers. In doing so, they have reduced their environmental footprint, cost of waste disposal and supply purchases, while increasing customer satisfaction and demand for greener-conscious restaurants. The Rethink Disposable™ program in Asbury Park is funded by an agreement awarded by the U.S. Environmental Protection Agency (EPA) to the New England Interstate Water Pollution Control Commission. Our soon to be launched program in the Newark-Montclair area is possible with the support of the Environmental Endowment for New Jersey. Join us on Sunday, October 8th from 1-4 pm at the Pine Barrens Golf Club in Jackson, NJ for a fun day of wine & chocolate tastings and charity auction to benefit Clean Water Action! 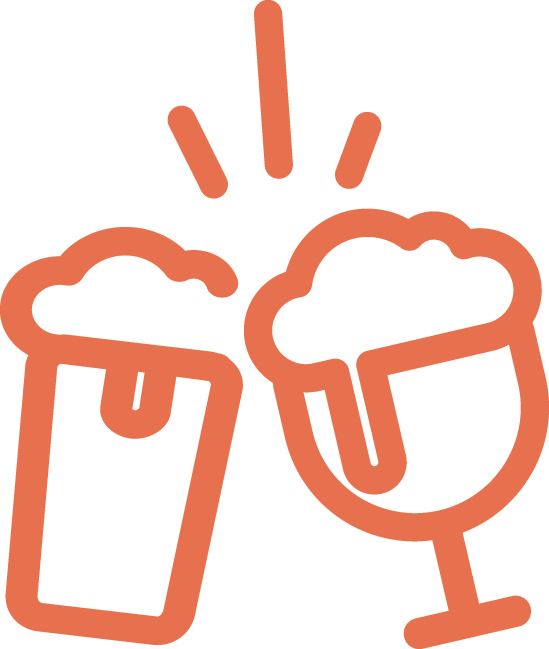 Enjoy the Sandy Sasso Jazz Quartet, tastings with Sommelier Louis Fontenelli and J. Emanuel Chocolatier, beer tastings with Heavy Seas Beer and Sweetwater Brew, savory hors d’oeuvres, and chance to win amazing gifts during our charity auction. Relax with family and friends (and meet new ones) at the beautiful Adirondack-style outdoor covered patio. RSVP today at: cleanwateraction.org/autumntoast.